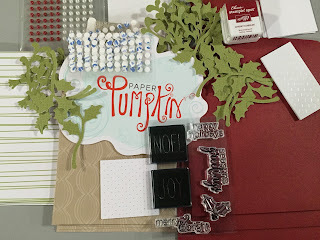 This was November's Paper Pumpkin Kit. Paper Pumpkin in a kit in the mail club. This is the message that I get every month around the 11th. plus 30 minutes to yourself . . .
see what arrives this month. All of this was in November's kit. 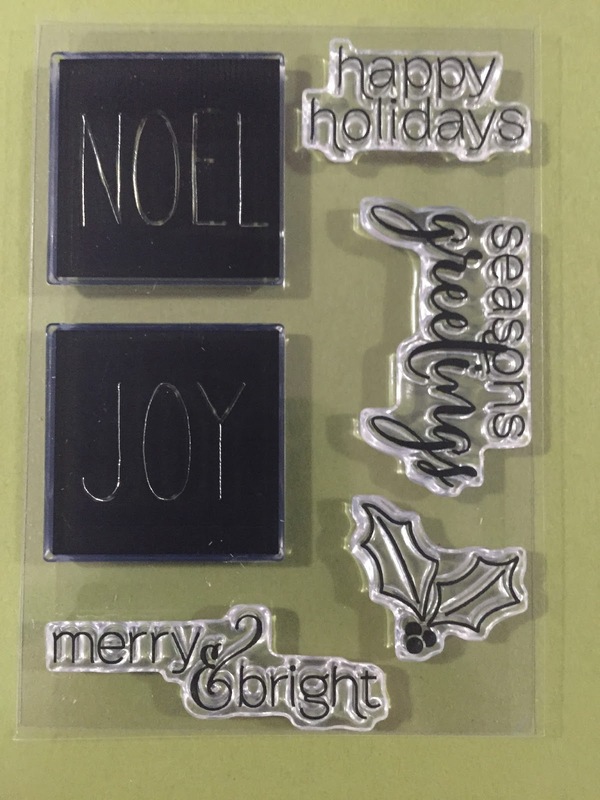 A stamp set comes in every kit. Isn't this one gorgeous? email that it's on it's way. is going to be in the box. Who doesn't love a suprprise? I love collecting these little ink spots. They are just so cute. might not necessarily be something I would have designed. It inspires me to try new things outside of my comfort zone. box for so many things. page devoted to this. Check it out. 10. I can take it to go. Yes, that's right who doesn't like take out? in the tote for the supplies and for the Paper Pumpkin box. at all. It's just perfect. Contact me to order your Paper Pumpkin Kit. a Christmas present too. It's a great gift idea. going on. Please see yesterday's post for all the details.